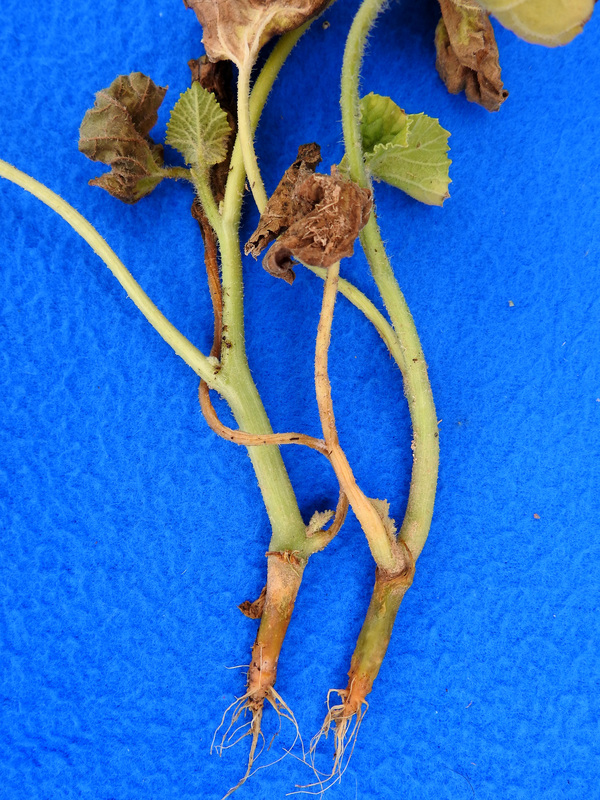 Root rot caused by Pythium, an oomycete pathogen, is not common in cucurbit crops on Long Island partly because these warm season crops are planted typically starting in late spring when soils rarely are cold and wet, which are favorable conditions for Pythium. Conditions were atypically favorable through early June in 2017. The melon plants in the photographs were found wilting in a field. 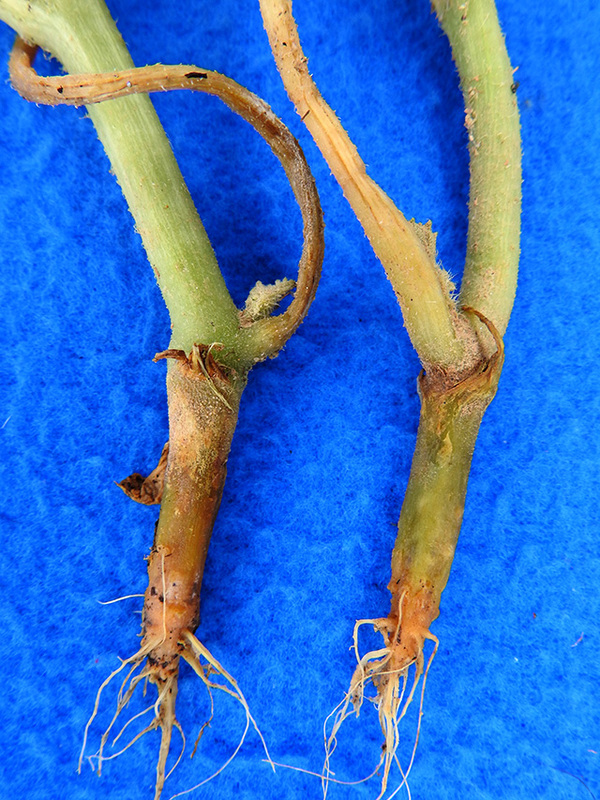 They have typical symptoms of Pythium root rot: few roots, some remaining roots are white with cortex sloughed off, and the lower hypocotyl (tap root) has a soft watery rot. Previcur Flex is labeled for managing this disease in commercial crops. It is a restricted-use pesticide in NY. Apply using directed nozzles to the lower portion of the plants and surrounding soil or via drip irrigation. It can also be applied in transplant water or by sprinklers. Note that no fungicide can cure plants already affected. Mefenoxam fungicides (Ridomil Gold and Uniform) can be applied to direct-seeded crops before or after seeding. Please Note: The specific directions on pesticide labels must be adhered to — they supersede these recommendations, if there is a conflict. Any reference to commercial products, trade or brand names is for information only; no endorsement is intended. ... diagnosing or managing diseases? Contact your local office of Cornell Cooperative Extension. Not from New York? Find your office here. Podcast: What’s wrong with my tomatoes? Meg McGrath talked with Margaret Roach about tomato troubles on Roach's popular A Way to Garden podcast. Read interview on Roach's A Way to Garden blog. Receive news updates by email.